The Pantheon product range offers the right balance between quality and price, optimizing production process to offer long lasting products. 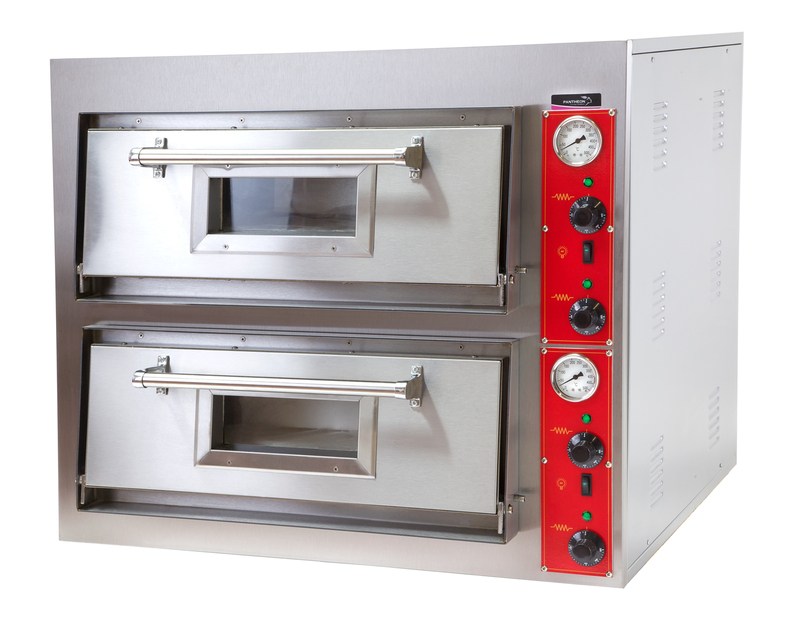 The leading principle of our PO4 Single Deck Pizza Oven’s design is functionality and ease of use. The Pantheon PO4 +4 is a premium quality low priced professional pizza oven. A 600mm refractory brick base provides perfect heat distribution for even cooking. The toughened viewing windows helps you see what is cooking without the need to open the pizza oven door and lose heat. The PO4+4 is very versatile and can be used for many different dishes not just pizza. Jacket potatoes, pies and ciabatta are just a few of the foods that can be cooked.